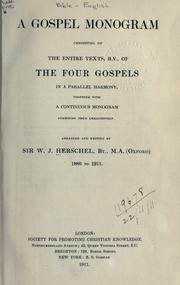 1 edition of A Gospel monogram consisting of the entire texts, R.V., of t... found in the catalog. Add another edition? Are you sure you want to remove A Gospel monogram consisting of the entire texts, R.V., of the Four Gospels in a parallel harmony from your list? 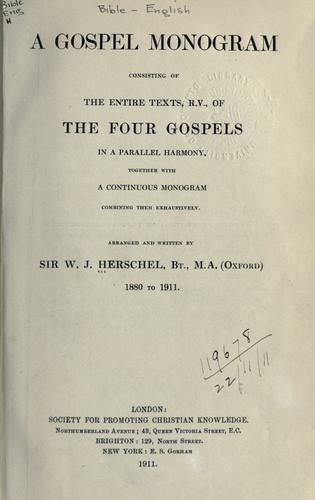 Published 1911 by Society for Promoting Christian Knowledge in London .